Once again in the aftermath of the mass shooting at a country music festival in Las Vegas, we are forced to think about the evil that exists in the world today. 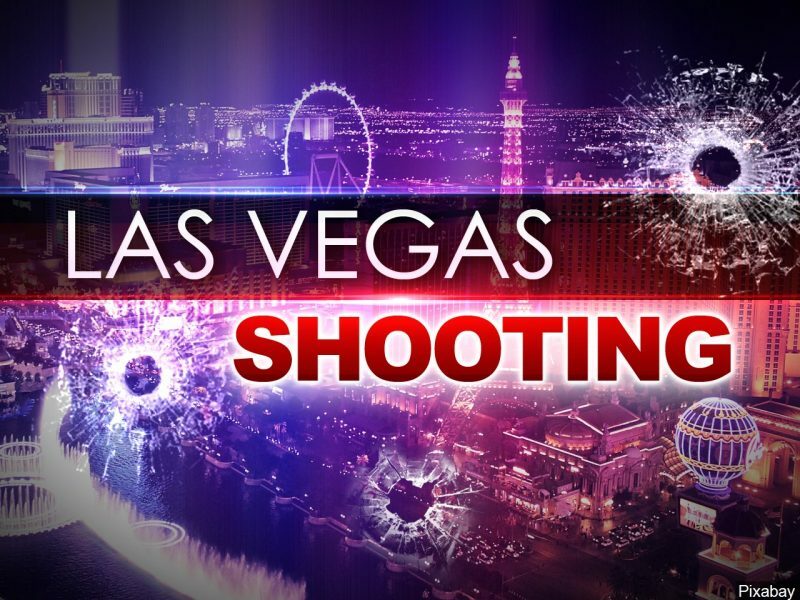 In the midst of the glitter and glamour that is Las Vegas, 64-year-old Stephen Paddock opened fire on the crowd of concertgoers Sunday evening that has left at least 59 dead and over 500 injured. It is the deadliest mass shooting in our country’s history. Paddock’s family is stunned. No one saw this coming. Or believed he was capable of such a horrific act. The FBI reportedly is still trying to determine a motive. And, at this writing is sifting through the evidence, stumped at why this wealthy, retired real estate investor would commit such a horrendous act. In a calm and compassionate statement, President Trump called this an “act of pure evil.” After offering his condolences to the families of those who lost loved ones and sympathy to the wounded, the President articulated a thought that comes to our collective minds following such a tragedy. Yes, evil exists. That’s obvious. But explaining evil is more difficult. The Bible records the origin and spread of evil. Evil entered the world when Eve succumbed to Satan’s temptation to disobey God. Evil caused Cain to kill Abel. Abraham to lie. David to fornicate. Israel to worship Idols. It was evil that killed Christ. The Pharisees and religious leaders’ hearts were filled with envy. Evil entered the heart of the betrayer who sold Jesus out for thirty pieces of silver. Evil weakened the resolve of Peter who denied his Lord three times. Evil witnesses were paid to perjure themselves. An evil High Priest circumvented the law. An evil court ignored justice. And an evil governor knew Jesus was not guilty. Jesus said, “For out of the heart proceed evil thoughts, murders, adulteries, fornications, thefts, false witness, blasphemies” (Matt 15:19) He called the devil “the evil one” (John 17:15). And the Bible teaches that the devil can enter our hearts to commit evil acts (John 15:2). Of course, we don’t have to submit to his enticements. We have the power within us to accept good and reject evil. Moses reminded God’s people they had a choice between good and evil, blessing and cursing, and life and death. He challenged them to choose good so they could live and enjoy God’s blessing. (Deut 30:15-20). Since Satan prowls around like a hungry lion, looking for prey, and recruiting those who would serve his evil agenda, we must be alert (1Pet 5:8) and guard our hearts with diligence (Prov. 4:23). We can’t stop the chaos in our culture, but we can find God’s peace in our own hearts. We can’t eradicate the evil in the world, but in the midst of a “crooked and perverse generation” God’s people can “shine as lights in the world” (Phil. 2:15). Let us uphold the Word of life. May we “depart from evil and do good; Seek peace and pursue it” (Ps 34:14). Let us look for ways to extend a helping hand to those who need it. Offer hope. And pray for our strife-torn world. Hi Ken — Could you perhaps write an article on the Las Vegas shooting and the Book of Job? So many things here like time/chance; how Satan prowls, etc. One specific question I have (with a Book of Job context) — is it reasonable for Christians to expect God to protect us from the prowl of Satan? If a Christian was attending this concert and was killed, how should we react to this? Pretend you were a friend of a shooting victim talking to his/her family (like one of Job’s three friends). What “should” you say?